Bill and Kathy Handley knew early in their marriage that they both shared a love for Colorado. Although they have made Florida their year-round home, they always looked forward to visiting Colorado several times each year during their 32 years of marriage. They loved to ski, snowmobile, and snowshoe with their daughters in the winters. During the summers, they enjoyed incredible hikes with wildflowers and mountains galore, biking around Lake Dillon, whitewater rafting, and going on day trips to nearby towns. Bill and Kathy had a dream to eventually own a home in Breckenridge, their favorite place in Colorado. That dream became a reality a few years ago, when they were able to purchase Alpine Paradise, a beautiful two-bedroom condo located in the heart of Breckenridge. Their trips became even more frequent and they started renting the condo when they were not using it. 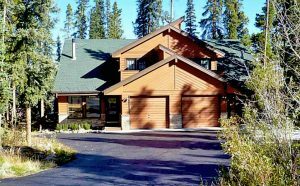 Bill and Kathy enjoyed the condo so much and had such a high demand for renting it out that they recently purchased Highland Heaven, a four-bedroom, four and a half bath home in the in the beautiful back country of Breckenridge. They look forward to their many visits to Breckenridge! Bill and Kathy have made their properties a home away from home and are excited to be able to help others experience the incredible adventures and the amazing beauty of all that Breckenridge, Colorado has to offer. Breck Splendor and Alpine Paradise, two other beautiful homes, are properties owned by friends. Bill manages these properties on their behalf. Whether you choose Highland Heaven, Alpine Paradise, Bear Haven, or Breck Splendor, Bill and Kathy know you will enjoy your stay in paradise.